When I was younger I had a fear of being asked a question and not knowing the answer. It was a genuine fear that covered a wide range of life aspects–from not knowing the correct pronunciation of a word to not being able to answer deep theological questions. I felt like I always needed a prepared answer for every question. Honestly, it was pretty ridiculous and prideful. And if we’re completely honest, I’d venture to say that most of us fear not having an answer for questions we might be asked. This fear keeps many people from investing, teaching, mentoring, and walking alongside young adults and college students. With life’s complexities, many potential leaders fear they’re going to be asked questions that they may not know how to answer. As a response, those potential leaders and mentors choose to ignore the issues and pretend like they’re not supposed to invest in the next generation. A genuine fear of not knowing all the answers is one of the root causes that keeps people in churches from reaching out and investing in future generations. When I learned the freedom of saying “I don’t know” in response to a question or situation that stumped me, I found that I became more real–not only to those around me, but to myself. It allowed God to show me the truths of Scripture in a completely new way. It’s a healthy exercise. When you’re asked a question by a friend, your spouse, or your kids, and you don’t know the answer, practice saying the words, “I don’t know.” It suddenly brings you to a conversation level where you can explore the answer together. In young adult ministry, we’re going to be faced with some pretty tough questions from those we lead. From lost employment to the loss of family members, some really tough questions will come your way. The deep theological questions of Scripture will stump us at times. It’s healthy for us to acknowledge that we don’t know everything. 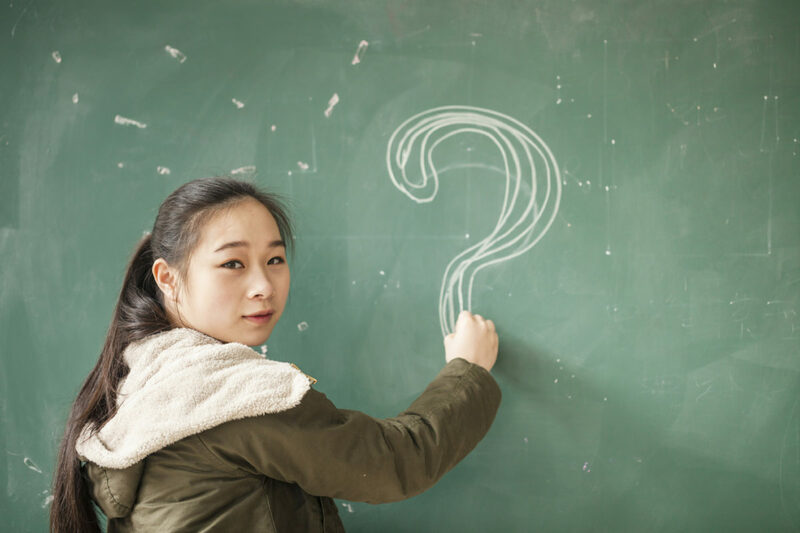 When we practice saying we don’t know all the answers, it conveys to young adults and our other leaders that we’re on this learning journey with them. 2. Don’t allow “I don’t know” to be your final answer. When someone presents a tough question, or if it’s discussed in a small group, don’t leave it with “I don’t know.” Allow this to spur some deep study and prayer that will take you to the truth of God’s Word. We may never completely understand some things, but we can find hope in the promises of Scripture that take us to the very core of who God is. In the middle of the hard questions, we can find the promise that God has not abandoned us. Instead, He’s walking alongside us in the midst of it all. Allow the question to remain a source of conversation between your group members or the individual. Our tendency is to avoid the conversation. But once a tough question has been raised, it can be a huge “elephant in the room.” Be willing to journey with the group or individual to find where God wants you to go with this question. Be careful to not allow the “I thinks” to take over in these conversations. We all have opinions and are often quick to lean in with an “I think” answer. But elevate Scripture as the basis for where you land on an issue or question, and always be careful to now allow the group to go astray with opinions. Jesus was the master of helping people process answers to their questions. He would point toward the things they knew and the truth of who He was to help His followers understand the deeper questions of what it meant to follow Him. 3. Model a life of digging deep into the truths of God’s promises found in Scripture. Young adults and college students value authenticity in their leaders. When they are able to see leaders, mentors, teachers, and friends dig deep into God’s Word and allow it to shape their response to questions and life situations, it makes a significant life impact. A walk with Christ is not about how many facts we know, but it’s about knowing Him intimately. It affects the way we interact with life’s surprises and disappointments of our “perfect” plan. When the questions arise out of life situations, we have an opportunity to model trust and complete abandonment to God’s will. When we know God’s promises, it allows Him to shape our responses. Be assured: You are not going to know all the answers. You’ll be asked tough questions. Don’t allow the enemy to keep you from exploring the hope and truth of God’s promises because you may not have the answer. In the meantime, dig deep into God’s Word, trust Him, and allow Him to use you in the lives of young adults by showing honesty and a willingness to be a constant learner.